Indian food is full of spice and Spicebox or masala box as called in India is an integral part of every kitchen in India. No matter what you want to cook. 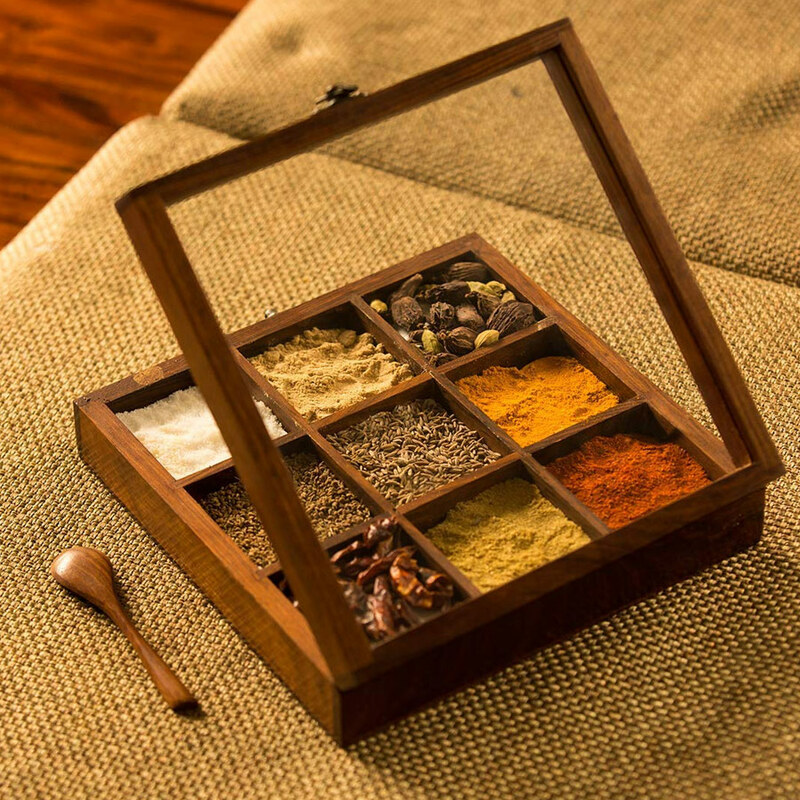 In every home, you will find one spice container. 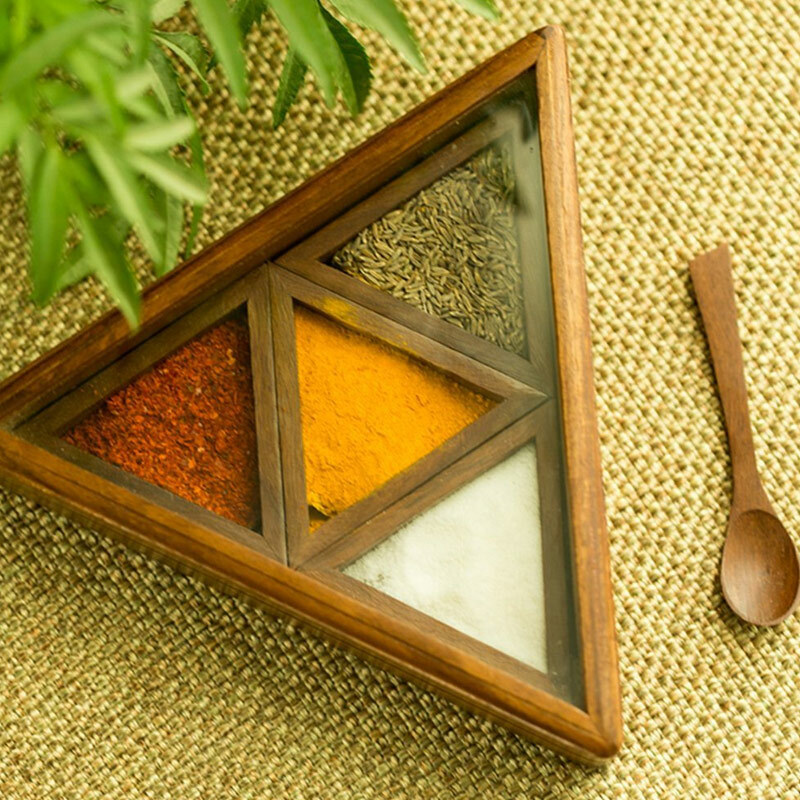 Now, these spice containers are available in different forms. Some prefer those modern spice racks and other plastic spice containers. 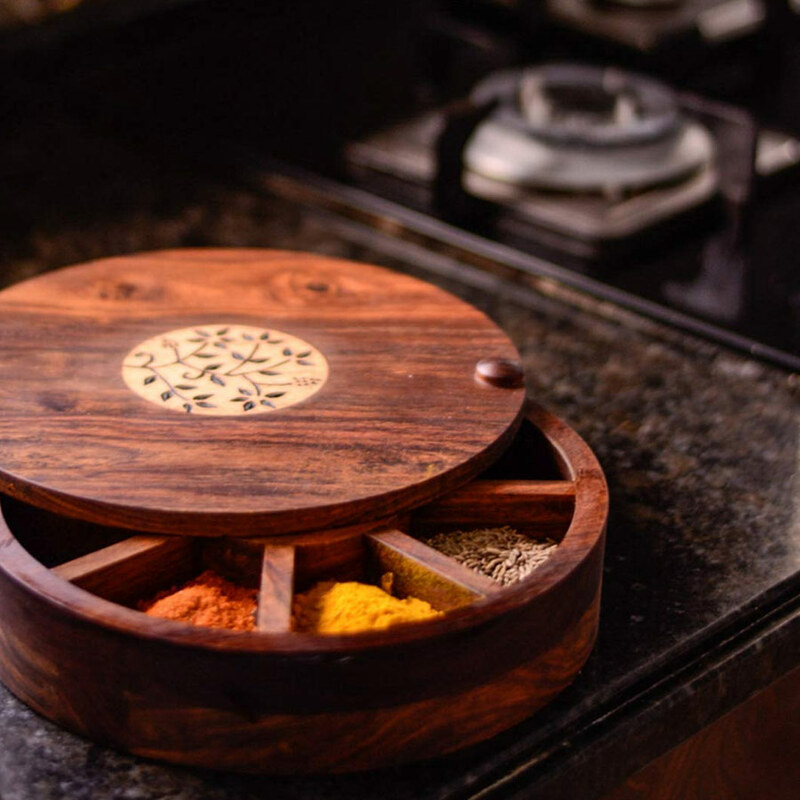 But if you are interested in authentic Indian spicy food then we have a variety of amazingly designed wooden spice boxes and spice containers for you at the best price. These wooden spice boxes and spice rack containers are available in different shapes and sizes. Also, these masala boxes are also available in fixed and removable containers which you can refill with spices whenever you need. 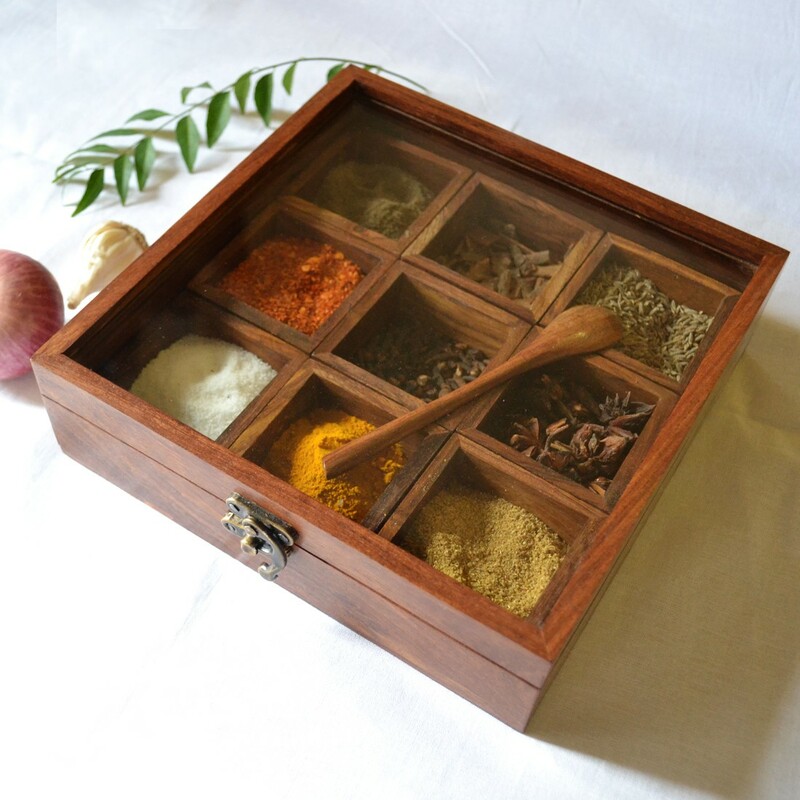 If you love Indian traditional spice dabba then you will love our collection of these wooden spice dabba online with best price online. You can pay for these spice dabba online and get free shipping all over India.